The days of an Independent college football powerhouse are numbered! The BCS lords will meet this week to decide the future of a possible BCS play-off or plus-one game. It is a widely accepted opinion that should such a proposal, which seems inevitable and much sought after, be implemented......then it will eventually force the hand of the Notre Dame Fighting Irish sports programs to join a conference to be even considered as a participant in the playoff/plus one format. 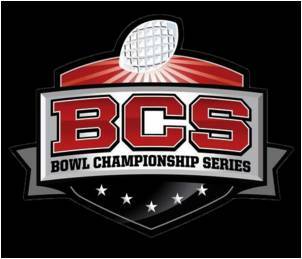 In essence expect the two highest rated teams after the bowl season to play for the BCS national title game. That is not good news if your team happens to reside in the ACC, Big East or for Notre Dame. Currently the University of Notre Dame is affiliated with the Big East in all of it's sports programs except football. The Fighting Irish football team have a lucrative TV deal with NBC who have the exclusive rights to show home games until 2015. Once the Notre Dame / NBC contract elapses, it is widely envisaged that Notre Dame will establish it's own broadcasting network to showcase it's football and other sports. The University of Texas already has it's own TV network in place with ESPN.......oh.....and I forgot to mention that Texas is already affiliated with one of these play-off conferences right now. Reports published on BCS.org would seem to suggest that an agreement on the proposal is eminent. The conference commissioner's and Notre Dame athletic director Jack Swarbrick, will be presenting the proposal to the BCS presidential oversight committee on June 26th. Expect an announcement in early July as to the new format in determining the number one in college football. So what does all this mean for the Notre Dame faithful? Well.....it is very simple really, affiliate your football program to play-off conference or get left behind. As to where the Fighting Irish end up is still unclear right now. Spectulation amongst ND fans right now tend to lean towards the BiG 12. I'd be in agreement on the BiG 12, as it seems the most logical choice and already has agreements in place with schools (Texas) that want to showcase their schools events on their own networks. The BiG 12 have also recently entered into a bowl agreement with the SEC, similar to that of the Rose Bowls agreements with B1G & PAC12. The Bowl game will begin in 2014 as both conferences will send their highest ranked representative to a January 1 game, and possibly their respective conference champions if they are NOT involved in the proposed new BCS play-off format. Still a lot unclear, but if Notre Dame do take the plunge to the BiG 12, then expect some major names from the ACC to follow suit.